Tristram Stuart is a renowned activist, speaker and award-winning author waging a worldwide war against food waste. Reducing food waste has been his number one priority since his teenage years when he realised he could feed his pigs with scraps from his school canteen and other local businesses. After working for more than a decade to minimise food waste, Tristram, wrote the groundbreaking book Waste: Uncovering the Global Food Scandal, and founded the environmental campaigning organisation, Feedback. Along with Feedback he has campaigned to reduce global food waste by working with governments, international institutions, businesses, NGOs, and the public. He recently helped food waste appear on the big screen by taking part in Anthony Bourdain’s documentary WASTE! The Story of Food Waste. 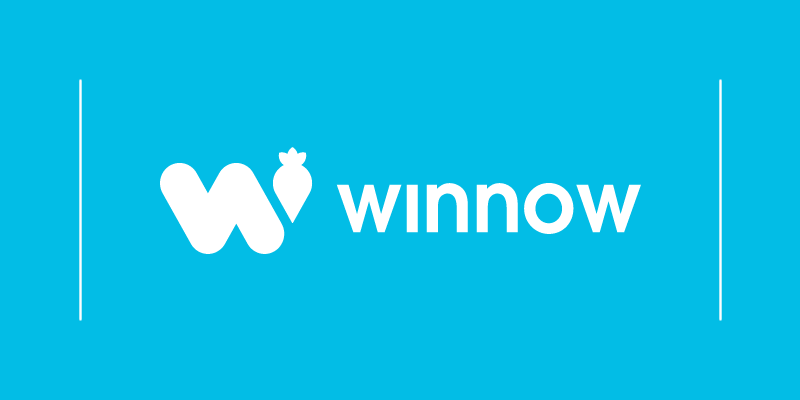 In this interview to Winnow, Tristram Stuart describes what are the most important challenges we face in the next few years, Feedback’s next policy aim, and how the hospitality industry can take leadership in the war against food waste. Food waste has started to be seen as a global priority, but tonnes of food still get thrown away. What do you think are the most important battles to be faced in the next few years? In order to feed the 9 billion people that are expected to live on the Planet by 2050, we are told that we need to double our food production. That’s the line that has been taken by many international organisations, such as the Cargill and Monsanto and even parts of the FAO for example. But, if we really do that, there is no chance we can meet the goal of reducing the carbon dioxide emissions to avoid catastrophic climate change and the devastating deforestation of the earth. The biggest challenge, therefore, is figuring out how we can take the problem of overconsumption in rich countries and food waste and show that this productions paradigm is both wrong and dangerous. We need to put the food system back on track to operate within ecological limits to feed people with accessible healthy food without destroying the planet. You’ve travelled around the world researching about food waste. What are some of the worst, and best examples you’ve seen? My favourite best example is from when I visited the Uyghurs, an ethnic group living in Northwest China. For them food waste is considered as a taboo and this applies across the entire food supply chain. In restaurants, for example, portions sizes are just enough to feed people’s appetite. Everything gets consumed. I can see that elements of that taboo have started to take root in a lot of societies across the world. I believe companies, individuals and charities are really taking on that view that food is too valuable to waste. But, at the same time, we have a food system that is being run almost at odds with that value, because instances of really horrendous food waste continue. I recently visited Peru, and I went to all the small farms that export fruit and vegetables to the European supermarkets. I saw thousands of tons of perfectly good fruits and vegetables being dumped just because they don’t look perfect. I believe that there is not one person in the world who thinks that it’s ok for small farmers to have to produce food in sachet resources, in countries with millions of hungry people and then dump ⅓ of their harvest. And all because of aesthetic reasons. What do you think about the use of technology to reduce food waste? In the past few years, I have seen an absolute boom in tech solutions to food waste including food waste prevention and food sharing apps. While all of these are absolutely fantastic tools, these are just tools. What we really need is a society that is minded to actually use them to the potential that they represent. Educating people is a completely different piece of work, and that’s what Feedback has worked on so hard. At Feedback, we create a culture change to make individuals and companies feel that they have to find a solution to food waste. After that is when people should start turning to technology to find a solution. How do you and Feedback interact with the hospitality industry? 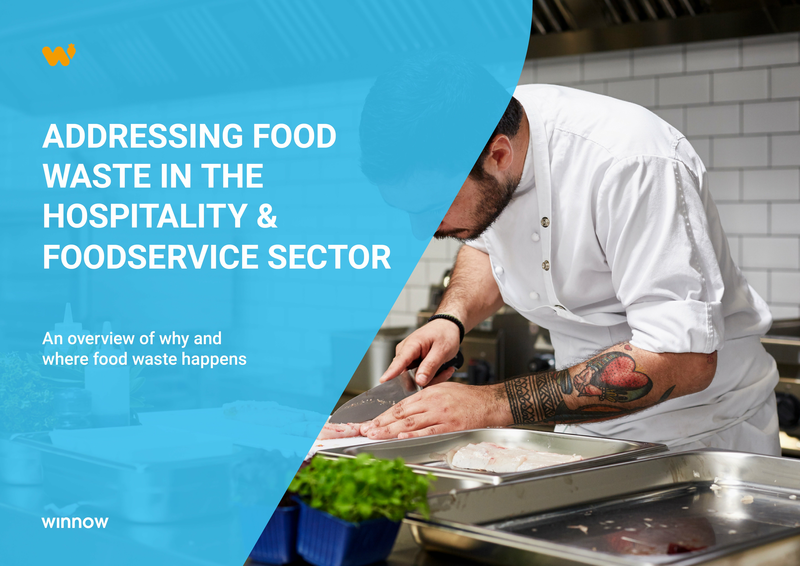 Feedback is a leading voice in challenging the food industry as a whole, Recently, I shared a panel discussion during a food waste event in Norway, and I can say that the hospitality industry in the Nordic countries have taken food waste very seriously. They are committed to reducing their food waste, and they have introduced a lot of initiatives to reach their goal. Everywhere I go, I tell the sector to ensure they are accurately measuring food waste, and using digital measurements tool to realise the value of what they are wasting. What policy aims do you have? Feedback has already worked successfully in a number of different policy areas, but one of the most exciting is the legislative approach to tackle food waste in the grocery supply chain. I refer particularly to the UK law of Groceries Code Adjudicator from 2013. This forbids very powerful retailers and supermarkets from cancelling orders or demanding forecasts with the results that their suppliers end up with food that they have to waste. It’s great that the UK has this law, but it has to strengthen here and it needs to expand to other countries as well. Thankfully, there’s been a lot of interest in replicating a similar initiative across the European Union. We had a massive victory last year when the EU voted in favour of it, and the EESC (European Economic and Social Committee) adopted our policy paper in full. So, whether voluntarily or via regulations, it does seem that people have woken up to the problem, largely thanks to the work of Feedback. The scale of food waste being caused in the supply chain by very powerful supermarkets is unacceptable. There is a need to regulate that. This is one policy area where myself and Feedback are particularly interested in. What plans does Feedback have for the future? I am not going to say that the raising of awareness is a done job. There’s still plenty more to do in many parts of the world, but we really have had a phenomenal amount of success in raising this issue and getting it onto the agenda of all the different parts of society. I think our job now is to ensure that the corporate sector takes responsibility for their food waste, measure it, and commit to reductions with the view of achieving the sustainable development goal of cutting food waste by half, by 2030. We want them to have company policies that are good enough to tackle this problem. One of Feedback’s central roles now is challenging and keeping the corporate sector accountable for achieving that goal. How is your company taking responsibility for the food waste it produces? Has your company set any food waste reduction target or other sustainability goals? Tell us in the comments below.